Hey hey! I hope you’re having a wonderful day so far! I think I mentioned last week that this summer seems to be flying by, and now we’re nearly halfway through July! Slow down, summer! Since it’s Tuesday I’m linking up with April from Run the Great Wide Somewhere, Erika from MCM Mama Runs, and Patty from No Guilt Life for Tuesdays on the Run. The theme this week is “This is Where I Run”. If you’ve been following the blog for awhile, you know that I live in Philadelphia. This is where I first started to take running seriously, so running in Philly will always hold a special place in my heart. 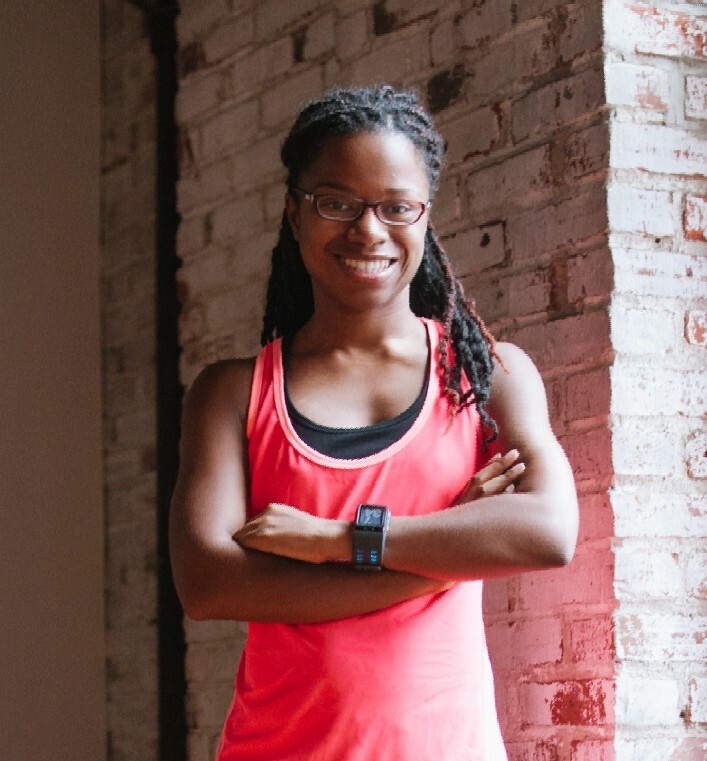 Instead of showing you my personal running route, I thought it would be helpful to provide a quick guide of running trails that are here in Philadelphia if you’re ever in the neighborhood! The running culture in Philadelphia is amazing. Overall, the city is very flat, which makes it an appealing environment to runners of all skill levels. The summer time is really peak running season as everyone heads out on the trail to enjoy gorgeous weather and scenery. Because of that, it can get VERY crowded out there! Here are some options for running trails in the city! This was during my super hot run! I had to start with the crown jewel of the city: The Schuylkill River Trail, or SRT. It is so popular and beloved that it’s leading a contest for best urban running trail! The SRT runs over 26 miles from Philadelphia to Phoenixville, and will be up to 130 miles once it is complete! You can start your run at the South Street Bridge and along the recently installed Schuylkill Banks Boardwalk down to Kelly Drive and beyond. You could also run the East Falls loop (a personal favorite), which is 8.4 miles, running down MLK (West River) Drive and around the Art Museum back to Kelly Drive. 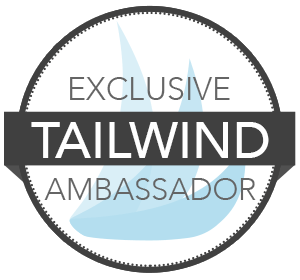 Best features: Running the SRT in the city, you get an amazing view of the Girard Avenue, Strawberry Mansion, and East Fall Bridges, the famous Boat House Row, and of course, the Philadelphia skyline. The Manayunk Towpath section is also gorgeous! There is a mix of terrain from asphalt, gravel and even grass. When to Avoid: The SRT is VERY busy on the weekends between 8 am and noon, especially on Saturday mornings. You will find walkers, runners, cyclists, skateboarders, and recreational scooters all trying to share a very narrow trail. If there is a regatta, or series of boat races, taking place…stay off Kelly Drive completely…it’s a runner’s nightmare! You’ll be bobbing and weaving around crew members and spectators. During the week, the Schuylkill Banks can be pretty packed around 5 pm. Best features: You’re completely isolated from the big city noise, but it’s not so far away that you feel lost. The trail surface is very soft and there are a lots of hills that are fun to run! The trail is much smaller than Forbidden Drive so it’ll be like you have the place all to yourself. You will find some hikers and mountain bikers in the area, but everyone is pretty friendly and cooperative in my experience. When to Avoid: Because it is a smaller and secluded trail, don’t come here at night, especially if you are alone! The trail actually serves as a sort of shortcut to get to regattas, so keep that in mind if you’re running on the weekends. I’ve mentioned more than once that this may be my favorite running trail in Philly. There’s just something special about it! Located in Northwest Philadelphia, there are actually over 50 miles of trails available to explore! I tend to stay on the main path of Forbidden Drive along the Wissahickon Creek, which is wide and covered in gravel. I have been able to run an out and back of 11-12 miles along this route. You can find runners, dog walkers, mountain bikers, hikers, and horseback riders on this beautiful trail. There’s really something for everyone here! Best features: Forbidden Drive is a great place to run that never feels too crowded on any day of the week. The scenery is gorgeous year-round, including old bridges, waterfalls, and usually lots of ducks near the Valley Green Inn restaurant! This is my favorite place for a long run because the beauty distracts me! When to Avoid: We tried to run this trail this past winter and the ice was simply too treacherous to navigate. The SRT is definitely the best winter trail option for running in the city since it is regularly cleared of snow. I’ve never run Forbidden Drive at night, but I would avoid doing so for your personal safety. One of my official race photos from the 1/2 Sauer 1/2 Kraut Half Marathon! Pennypack Park in the winter – so beautiful! PennyPack Park is amazing! Located in Northeast Philly, it tends to stay under the radar for most city dwellers. If only they knew what they were missing! PennyPack actually extends into Montgomery County, but I’ve only run the section within the city limits. For example, the 1/2 Sauer 1/2 Kraut Half Marathon! If it weren’t such a long trip to get up there, I’d try to run in PennyPack every weekend! Best features: The view along Pennypack Creek is absolutely gorgeous. Once again you’re transported away from the city noise. Even when I ran the half marathon here, it was not too crowded. This is a great place just to walk around and enjoy the fresh air. But this place isn’t just eye candy – the rolling hills are tough! When to Avoid: I have heard that it can be challenging to run in PennyPack in the winter, but as long as the main trail is clear you should be fine! The Greater Philadelphia region is really fortunate to have so many wonderful running trails in our backyard. This is an area that I hope to explore deeper in the coming years. So far, I’ve been off to a great start with two awesome running trails! Tyler State Park was gorgeous! Tyler State Park is located in Bucks County, north of Philadelphia. Our first time running in Tyler park was Veteran’s Day weekend and we were amazed at what we saw. The park is HUGE, full of wildlife, and a great place to run, hike, picnic, and go horseback riding. It’s a very family-friendly place with over 4 miles of gravel trail and 10.5 miles of paved trail. Best features: Tyler State Park was just full of surprises! The number and variety of trails were so exciting, and it was especially beautiful with the fall foliage. There are LOTS of hills to use for practice, and while it is a well-attended place, it’s spaced well enough that you don’t feel too crowded. When to Avoid: The park closes at sunset which is definitely for the best because hello, deer country! I would not venture this place alone outside of peak visiting times. Bret and I ran in Ridley Creek State Park for the first time last weekend, heading south of the city and into Delaware County. There is plenty of space to hike, walk, run, or mountain bike and there are some legit trails unlike any I’ve ever seen! Best features: The scenery is beautiful. There is the Hunting Hill Mansion which is absolutely gorgeous and a popular wedding venue. We saw a family taking professional photos nearby, it’s so scenic! There are several trails that wind you through the park and are very steep and rocky…if that’s what you’re into, then you’ll love it! When to Avoid: Based on my recent visit, I’d avoid the more treacherous, steep hills during the winter months. It could be very easy to slip and fall or get lost on the narrow trails. This is just a very small sample of running trails that are available in Philly. The choice is yours! 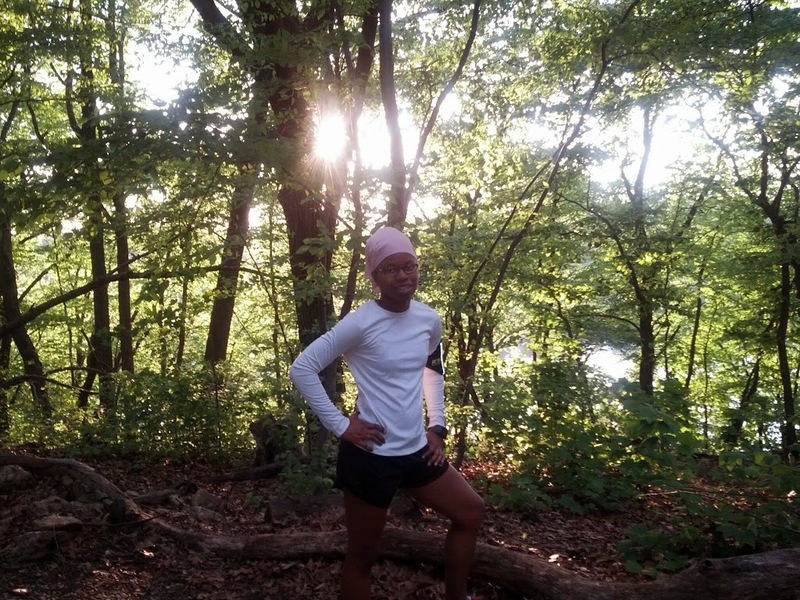 There are so many running trails in the Philadelphia region that I’m hoping to explore this summer and fall while I mix things up for my long runs, so I will update this list as I try them out! So if you’re in town and you’re looking for somewhere to run, hopefully this post of running trails in Philadelphia can serve as a useful guide. You really can’t go wrong! 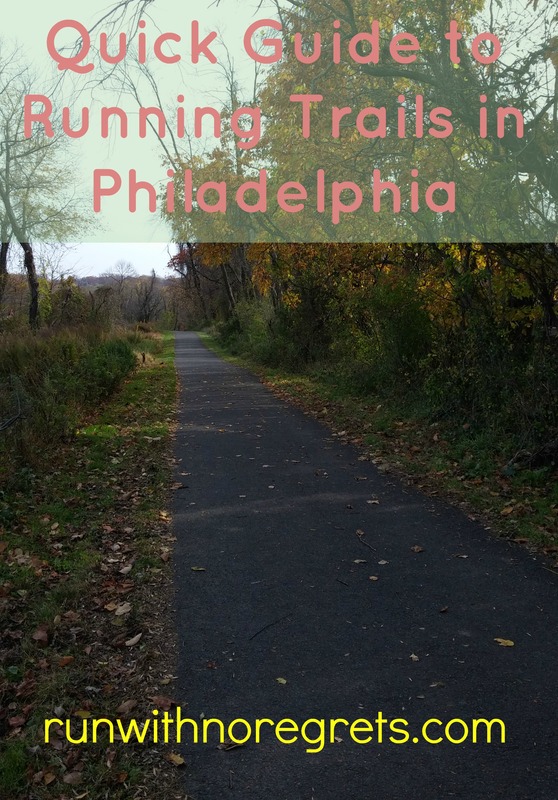 Have you ever run any of these trails in Philadelphia? What do you love most about where you run?